The Voyagers are pleased to have partnered with non-profit organizations around the Great Falls area to help raise thousands of dollars and we would love to make yours the next on that list! Partner with the Voyagers on this fun-filled and financially successful event. Sell tickets to a Voyagers game for their face value and keep half of the sales generated for your cause. Special opportunities to raise additional money and funding during the game. The Voyagers are proud to help create ways to generate awareness for your cause and event during a game. The more money raised by the organization will receive more avenues of awareness, including PA announcements, on-field recognition, special advertising through unique memorabilia, etc. The tickets that are consigned to your organization are for the General Admission seating at Centene Stadium. These can be specified in our left field GA section or any of the lettered sections in the stadium grandstand behind and around home plate. The Voyagers can make sure that the tickets are blocked together in a specific section to group your organization together for a great night of fun and fellowship. 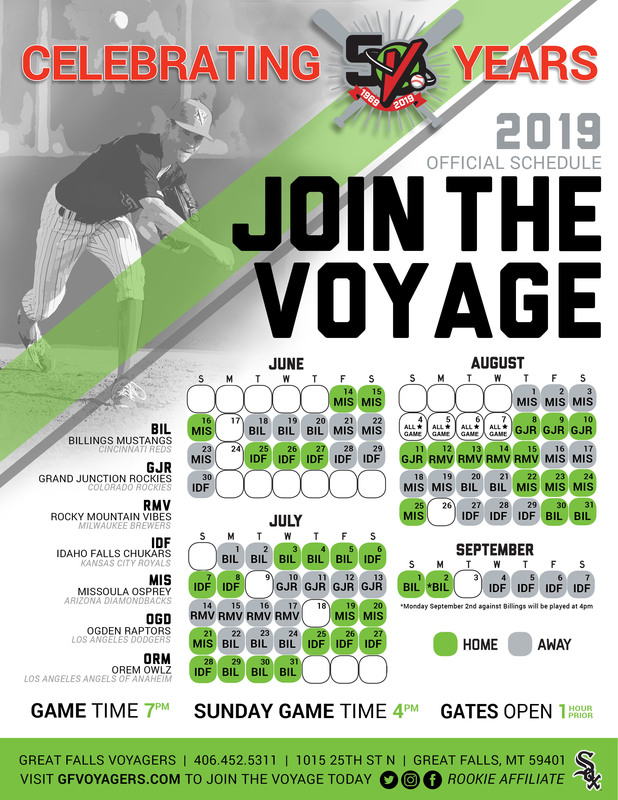 To book your FUNdraising event with the Voyagers for our 2019 season or receive more information, contact Bailey Johnson at 406-452-5311.